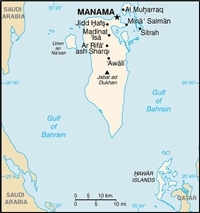 Although Islamic teachings are conservative, the social climate in Bahrain is fairly liberalised. This temperate society has allowed room for business growth and trade. Discover the rich traditions of Bahraini attire and the significance of the ubiquitous mosques in this small desert shaikdom. In CultureShock! Bahrain, gain insights into business etiquette and glean tips on socialising and settling in—all vital to setting up home and working in this rapidly developing Middle Eastern society.